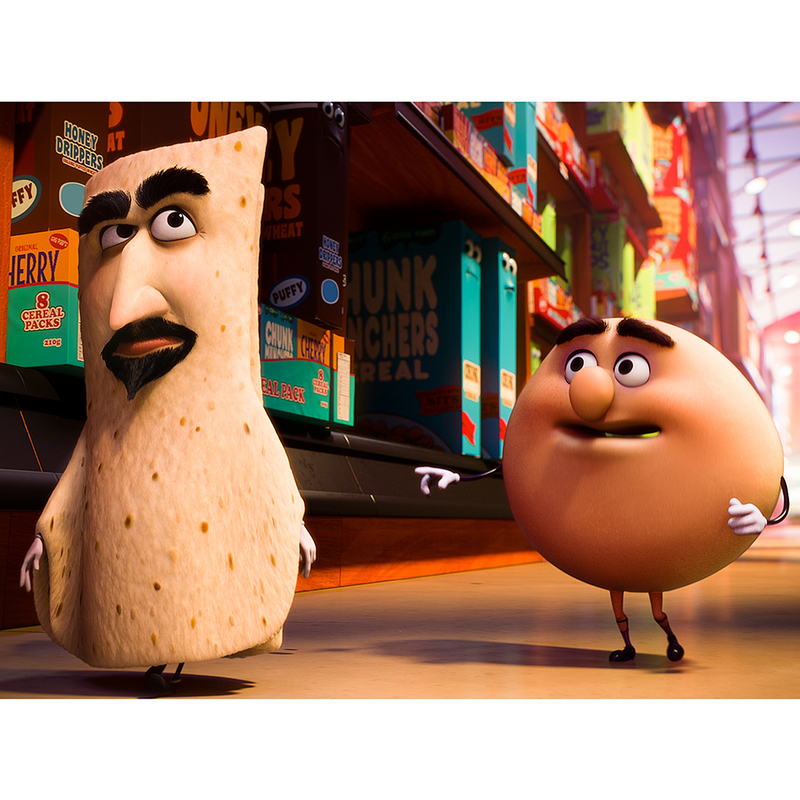 From l-r: David Krumholtz as Lavash and Edward Norton as Sammy Bagel Jr.
That later injection Krumholtz mentions may have been what kept the movie on the shelf for so long. Rogen and Goldberg had been trying to get Sausage Party made for seven years. And even with the breakout success they had with Superbad it took them four years just to sell the script. As a friend and fan of the writers, it didn’t make sense to Krumholtz. “It was kind of mind boggling that it was having trouble getting made. I just felt like it was exactly what people wanted to see [from Seth and Evan].” And he may be right. Rotten Tomatoes, whose featured critics don’t always find consensus rated Sausage Party better than other summer hits like Ghostbusters and Star Trek. But despite the actual positive messages contained in the movie, you might want to leave your kids or little nephews at home this weekend. Unless you think they should get “the talk” from a pack of anthropomorphic hot dogs. Sausage Party opens with late night screenings Thursday August 11.